Clarke, Thomas Curtis. The American Railway. New York. Arno Press. 1976. 456 pps. Octavo. Hardcover. Facsimile edition. Illustrated. Fine copy in near fine (very light shelf wear) dust jacket (in mylar). Clarke, Thomas Curtis. The American Railway. New York. Arno Press. 1976. 456 pps. Octavo. Hardcover. Facsimile edition. Illustrated. Fine copy in fine dust jacket (in mylar). Clegg, Adam. 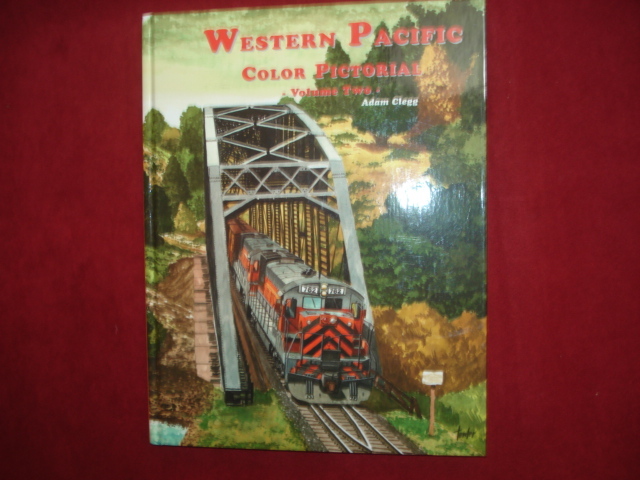 Western Pacific Color Pictorial. Volume One. Photo available. La Mirada. Four Ways West. 2001. 4to. Hardcover. First edition. Illustrated in black, white and color. Fine copy. Clegg, Adam. Western Pacific Color Pictorial. Volume Two. Photo available. La Mirada. Four Ways West. 2002. 4to. Hardcover. First edition. Illustrated in black, white and color. Fine copy. Clegg, Adam. 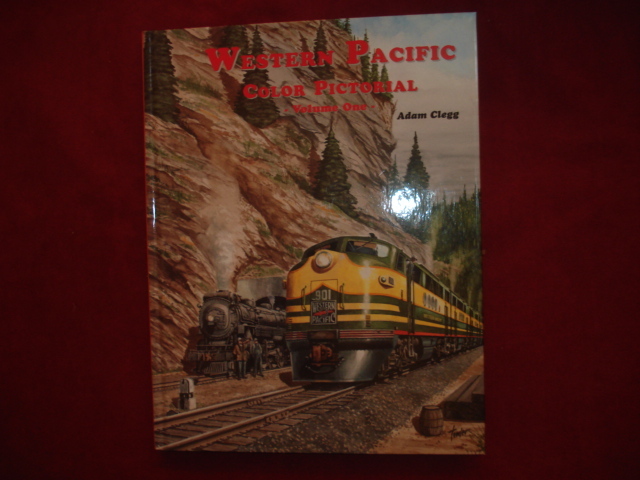 Western Pacific Color Pictorial. Volume Two. Photo available. La Mirada. Four Ways West. 2002. 129 pps. 4to. Hardcover. First edition. Illustrated in black, white and color. Fine copy. Cohen, Stan. 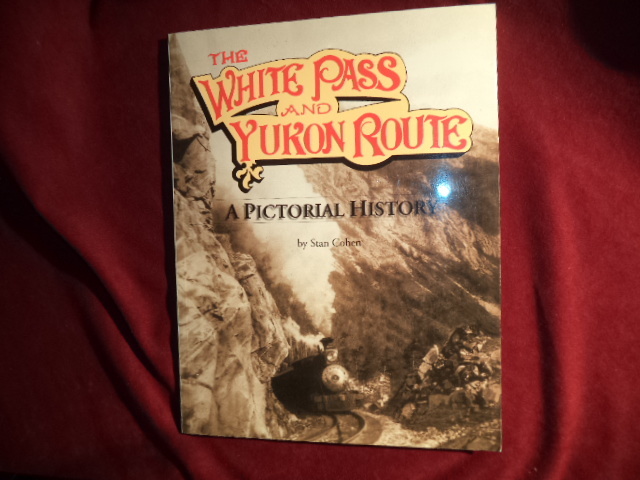 The White Pass and Yukon Route. A Pictorial History. (Canada). Stan Cohen. 1988. 103 pps. 4to. Pictorial soft cover. Reprint. Illustrated. Fine copy. Coiley, John. The National Railway Museum. York. Self published. 1982. Octavo. Soft cover. First edition. Illustrated in color and black & white. Fine copy. 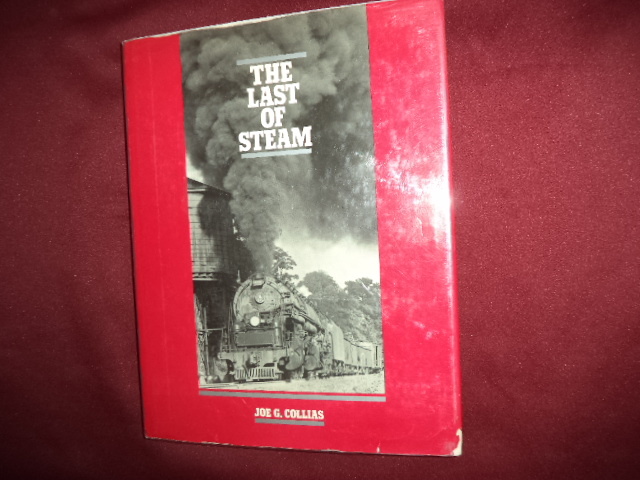 Collias, Joe G. The Last of Steam. A Billowing Pictorial Pageant of the Waning Years of Steam Railroading in the United States. Photo available. Berkeley. Howell-North Books. 1960. 264 pps. 4to. Hardcover. First edition. Illustrated. Fine copy. Collias, Joe G. The Last of Steam. A Billowing Pictorial Pageant of the Waning Years of Steam Railroading in the United States. Photo available. San Diego. Howell-North Books. 1960. 264 pps. 4to. Hardcover. Reprint. Illustrated. Fine copy in fine dust jacket (in mylar). 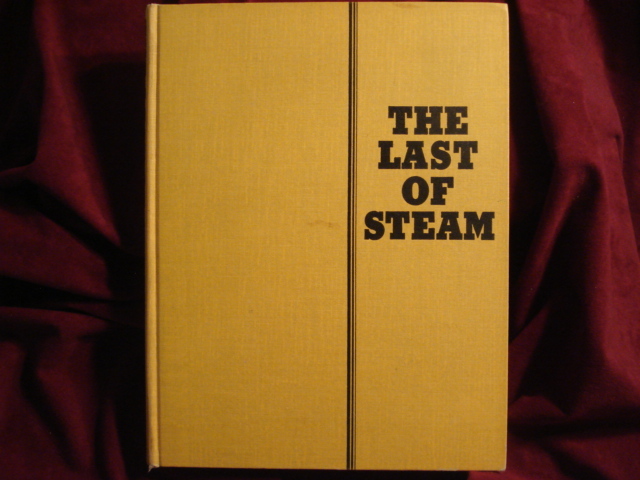 Collias, Joe G. The Search for Steam. A Cavalcade of Smoky Action in Steam by the Greatest Railroad Photographers. Berkeley. Howell-North Books. 1972. 360 pps. 4to. Hardcover. First edition. Illustrated. Fine copy in very good (chip on top front panel) dust jacket (in mylar). Collins, Jane. High Speed Trains. Secaucus. Chartwell Books, Inc. 1978. 61 pps. Octavo. Hardcover. Illustrated in black, white and color. Fine copy in fine dust jacket (in mylar). Coluzzi, Count Giansanti. The Trains on Avenue de Rumine. 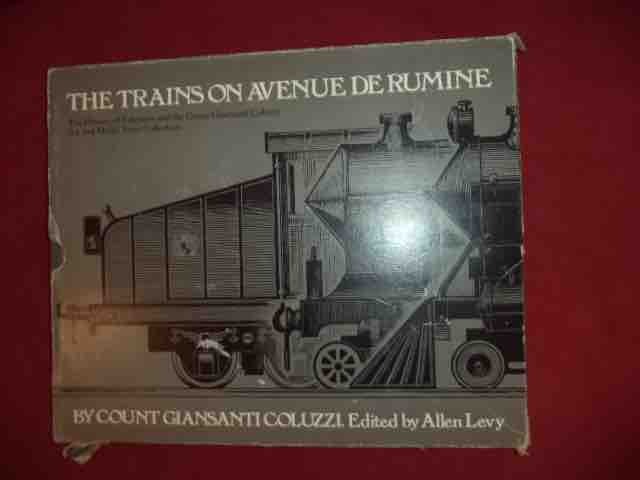 The History of Fulgurex and the Count Giansanti Coluzzi Toy and Model Train Collection. Photo available. np. New Cavendish Books. 1982. Folio. Beautiful, gilt decorated hard cover. Stated first edition. Illustrated in black, white and color. Important reference work. Fine copy in slip case (some separation at corners). Combs, Barry. Westward to Promontory. Building the Union Pacific Across the Plains and Mountains. Palo Alto. Promontory Press. 1969. 79 pps. 4to. Soft cover. Second edition. Illustrated. Fine copy. Combs, Barry. Westward to Promontory. Building the Union Pacific Across the Plains and Mountains. Photo available. Palo Alto. Promontory Press. 1969. 79 pps. 4to. Hardcover. First edition. Illustrated. Important reference work. Fine copy in fine dust jacket (in mylar). Combs, Barry. Westward to Promontory. Building the Union Pacific Across the Plains and Mountains. New York. Promontory Press. 1973. 79 pps. 4to. Hard cover. Reprint. Illustrated. Important reference work. Business card taped in from Charles Clegg's estate. Fine copy in near fine dust jacket (in mylar). Cook, Chris. A History of the Great Trains. Photo available. New York. Harcourt, Brace Jovanoich. 1997. 4to. Hard cover. First American edition. Illustrated in black, white and color. Fine copy in fine dust jacket (in mylar). Cooper, Charles. Rails to the Lakes. The Story of the Hamilton & Northwestern Railway. Photo available. Cheltenham. Boston Mills Pres. 1980. Octavo. Hardcover. First edition. Illustrated. Important reference work. Fine copy in near fine (very light shelf wear) dust jacket (in mylar). Cordli, Michael. Red Express. The Greatest Rail Journey. From the Berlin Wall to the Great Wall of China. New York. Prentice-Hall. 1990. 255 pps. 4to. Hardcover. First edition. Illustrated in color and black & white. Fine copy in near fine dust jacket (in mylar). Craib, Roderick. A Picture History of U.S. Transportation. 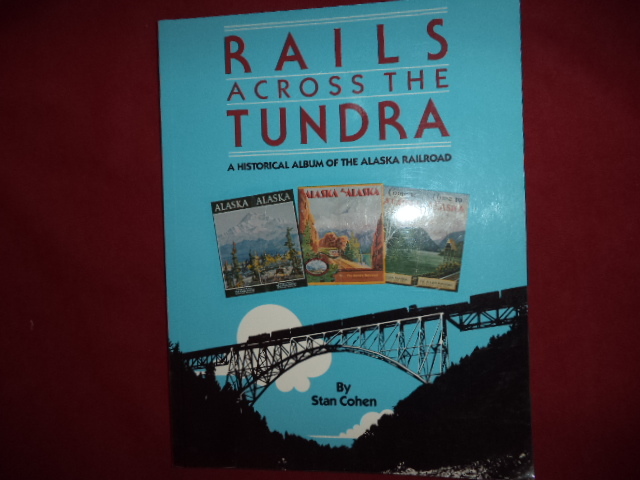 On Rails, Roads and Rivers. New York. Simmons-Boardman Pub. 1958. 124 pps. 4to. Hardcover. First edition. Illustrated. Fine copy in near fine (very light shelf wear) dust jacket (in mylar). Craib, Roderick. 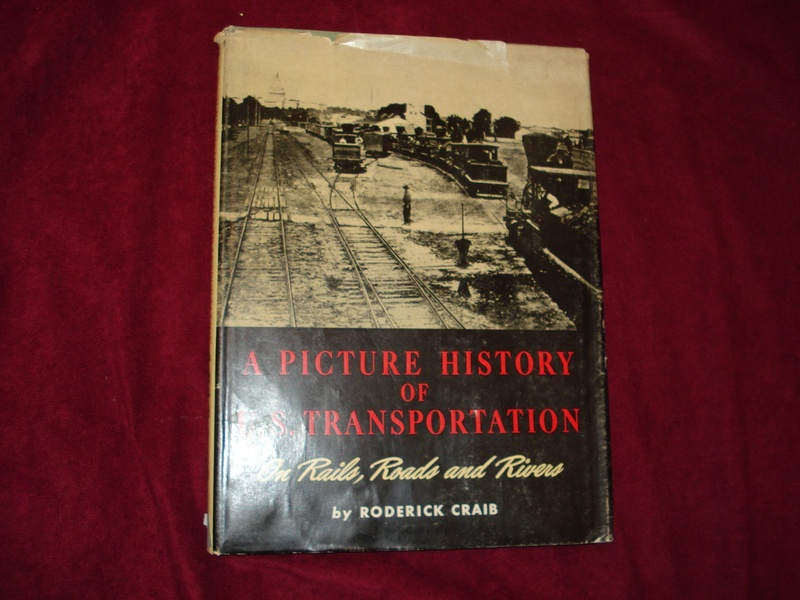 A Picture History of U.S. Transportation. On Rails, Roads and Rivers. Photo available. New York. Simmons-Boardman Pub. 1958. 124 pps. 4to. Hardcover. First edition. Illustrated. Fine copy in near fine (very light shelf wear) dust jacket (in mylar). Crompton, John. Packway to Motorway. London. Wayland Publishers. nd. 96 pps. Octavo. Hardcover. Illustrated. Fine copy in fine dust jacket (in mylar).